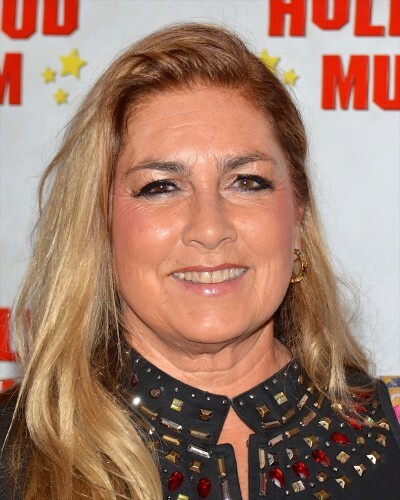 Romina Power is an Italian singer and actress. She was part of the musical duo Al Bano and Romina Power, with her then-husband Albano Carrisi. Romina is the daughter of American actor Tyrone Power (Tyrone Edmund Power, Jr.) and Mexican actress Linda Christian (born Blanca Rosa Welter). Her father was of Irish, English, French Huguenot, French-Canadian, and German descent. Her mother was of Dutch, German, Spanish, and French ancestry. Romina was named after the city of Rome, where her parents fell in love. Romina is a polyglot who speaks five languages: English, Italian, Spanish, French, and Dutch. Romina has four children with her former husband, Italian singer, actor, and winemaker Albano Carrisi. Romina’s paternal grandfather was Tyrone Power, Sr. (born Frederick Tyrone Edmond Power, the son of Harold Littledale Power and Ethel Lavenu). Romina’s grandfather Tyrone was born in Marylebone, Middlesex, London, England, and was a prominent actor. He had Irish, English, and French Huguenot ancestry. Romina’s great-grandfather Harold was a singer, actor, and merchant. Harold’s father, William Gratton Tyrone Power, born in Kilmacthomas, County Waterford, Ireland, was an actor and comedian, under the name Tyrone Power. Harold’s mother was Anne Gilbert. Romina’s great-grandmother Ethel was a noted stage actress. Ethe’s father was Lewis Henry Lavenu, a composer, conductor, musician, and impresario, whose own father was publisher Lewis Lavenu (Lewis Augustus Lavenu). Ethel’s mother was Julia Blosset. Romina’s paternal grandmother was Helen Emma Reaume (the daughter of Charles William Reaume and Mary Adelaide Schuster). Helen was born in Indiana, and had French-Canadian, German, and English ancestry. Charles was the son of Anthony/Antione Reaume and Jane Cary. Mary Adelaide was the daughter of Paul Schuster, who was an ethnic German from Strasburg, Alsace-Lorraine, France, and of Amanda Eleanor Brazee. Romina’s maternal grandfather was named Gerardus Jacob Welter. Gerardus was Dutch. Romina’s maternal grandmother was Blanca Rosa Vorhauer Villalobos (the daughter of Philip Vorhauer and Josefina Villalobos). Blanca was of Spanish, German, and French descent.